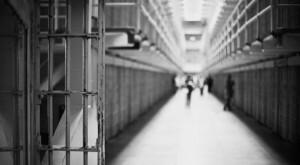 Prisoner rehabilitation: it’s often referred to as a system set up to fail. Only it seems to fail some much more than others. An ongoing issue that’s only growing, Indigenous women are filling up Canada’s prisons. But once released, many of these women are left to face a harsh reality. Pettigrew has seen a high number of Indigenous women end up in Toronto after serving their sentences. Most come from the Grand Valley Institution for Women, a federal prison based in Kitchener, Ontario. But Pettigrew says the statistics and outcomes point to the need to make more options available to these women. At close to 32 per cent of all incarcerated females, Indigenous women have been deemed the country’s fastest growing prison population — an 85.7 per cent increase over the past decade. By the time she got out in fall 2011, the member of the Nipissing First Nation (near North Bay, Ontario) says “that number grew to sixty” in the minimum/medium security area. Founded to help women such as Villeneuve, the Toronto Aboriginal Social Services Council (TASSC) has an ambitious vision for their future — to build an urban healing lodge for federally-sentenced Indigenous women. The ‘Thunder Woman Healing Lodge‘ would include Indigenous values and traditions, with a focus on education. Paul McKenzie, director of investigations at the Office of the Correctional Investigator (OCI), an ombudsman for federally-sentenced prisoners, made this trend clear in Spirit Matters, a report released earlier this year. Thunder Woman Healing Lodge would fall under section 81 of the Corrections and Conditional Release Act (CCRA), allowing the transfer and custody of an Indigenous offender into a community rather than a CSC institution. Section 84, another provision designed to address the over-representation of Indigenous offenders, allows them to be returned and released to their community. Currently, there are a total of eight lodges in the country: four managed by First Nation community organizations, four by CSC. However, only one is a “section 81” meant for Indigenous women: Buffalo Sage Wellness House in Edmonton, managed by the Native Counselling Services of Alberta. Paul McKenzie agrees. “Whatever programs the government looks at or wants to look at in terms of supporting or addressing their needs, I think are important and worthy of study and consideration,” says McKenzie. For Villeneuve, she remembers how hard it was to attend a sweat lodge ceremony during her parole. “I had to fight with CSC hand over fist to get what I wanted,” says Villeneuve. “This is something sacred: we look at this differently than how they look at their laws. That’s where that divider is,” adds Villeneuve. In Spirit Matters, the OCI asserted that CSC is failing to meet its legislative obligations under sections 81 and 84. According to the report, despite 3,500 Indigenous inmates, only sixty-eight “section 81” beds were available, with not one of those beds set up in all of BC, Ontario, Atlantic or the North. There has also been no further work on new section 81 facilities since 2001, despite the growing number of Indigenous offenders. Where they do exist, Indigenous-controlled lodges face both underfunding and salary/benefit disparities compared to their CSC counterparts. Working together, the Doctor’s Lions Club of Toronto and TASSC are spearheading several fund-raising events to hire a project manager to begin the research process. It is their goal to apply for a Lion’s Club matching grant of $75,000 next year. As well, the team currently has an Indiegogo campaign, and a benefit concert is also in the works.